Lightly used Yamaha FD01 Acoustic Guitar. Still in great condition. Includes Yamaha travel bag.Cash only. Meet-up only. 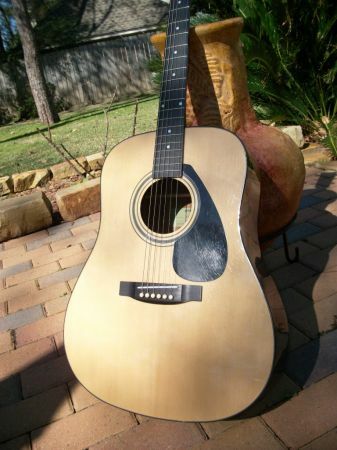 Selling my Yamaha fd01 Acoustic. Plays great, in good condition, some scratches and wear. Text or call anytime. $40 firm. Yamaha FD01 Acoustic Guitar -- Excellent shape not really been played since new. Comes with a nice soft case.Note that the dark color in the bottom of the guitar is a reflection of my brown couch. The guitar finish is uniform in color and in excellent shape.